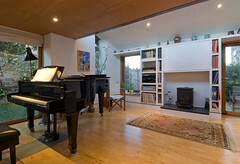 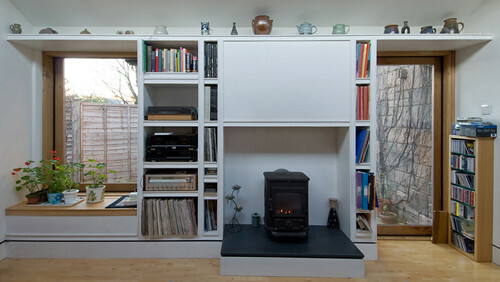 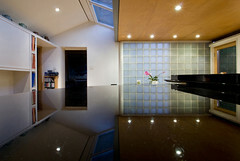 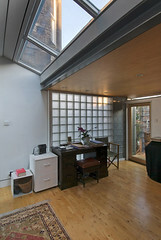 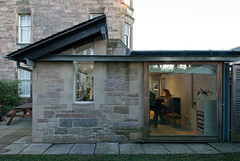 Our project at Strathearn Road was to provide a music room for our clients, both of whom teach piano. The music room was to accommodate a grand piano and also to provide space for other musical activities adjacent. The site is interesting as it is in the garden adjacent to the end of a Marchmont tenement block, but its required to be low lying because of the presence of neighbours windows above and discreet sitting behind an existing stone garden wall. 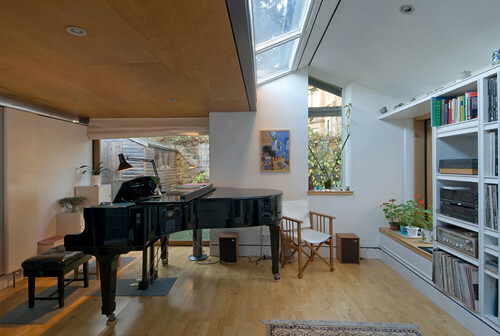 Our project divides the building into two sections, a low lead covered studio near the wall, in which is placed the grand piano, and then a higher pitched roof section with south facing roof light for the other activities. 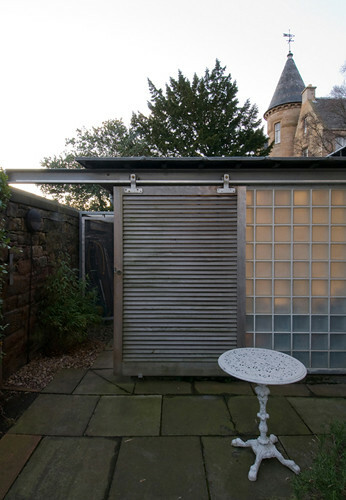 In addition, there is a shed for bicycles etc placed between the new extension and the existing garden wall. 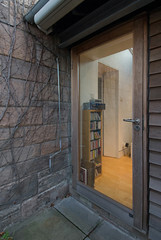 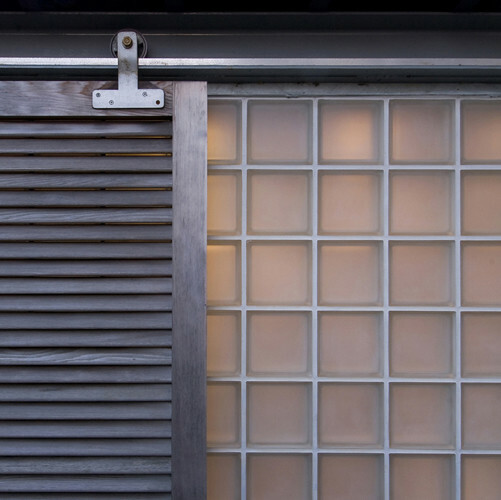 The materials second hand stone and glass block. The room of course, also doubles as a garden room, giving access to the remainder of the garden.